Home Quick Tips How to Delete Google Search History? Google has provided answers to everyone’s question and this is the reason we search for various kinds of content on it. Sometimes the content searched on is so secret that we would not like to share it with others as this might get a bit embarrassing. The best things to do in this case is delete history of the general browser or clear the complete Google search history to make sure that no one gets to know about what you were searching for on web. 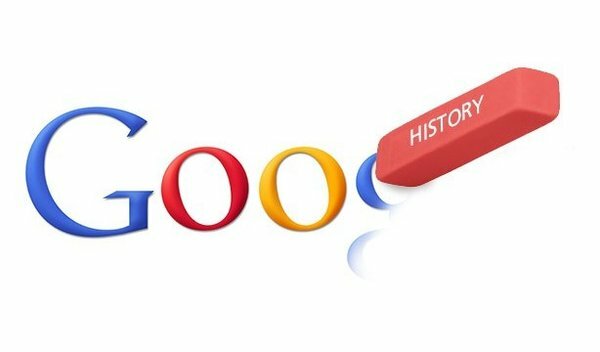 Individuals often are not aware of the steps of deleting history from Google or browser and considering this we have bought forward steps which can make the complete procedure quite simple. Have a thorough look at the steps mentioned below for deleting the Google browsing history. Open a preferred browser from where one would like to delete the browsing history. The browser can be anything from Opera, Google Chrome, Mozilla Firefox, Internet Explorer etc. One can also open up the Google search engine to delete the browsing history. For the users who are using Chrome, click on the three lined button, then click on settings and then history. Select the tab Clear browsing data for deleting the history of Chrome. Here in users can select the duration for which they would like to delete the browsing history. For Firefox, again click the three line button, settings and then click on History and clear recent history on the browser. While using Internet Explorer, click on the settings tab and then on Internet options. Therein user may find a Browsing history option under the general tab and then you can click on delete to clear the history. Specifically users would like to remove the history from Google search and this can be done by signing on to the profile. By entering in Google user id and password, user will be directed to the searches done by you and then you can delete the history from the search engine. However if the page informs you that Google history search is off, then in that case user is not required to delete any history as none of your searches have been saved. Also there is no point turning on the history when you don’t want to save it. So just say no thanks and move on. Move ahead to the menu and then delete the history, data, cookies and cache from the browser and search engine. The history which user would like to delete should be ticked and the following contents on the browser will be deleted. Keep following the prompts and in no time history of the browser will get deleted. The items to be deleted should be ticked or checked and such items will be deleted individually. Or you can click on the entire list of items from the browsing history to delete it from the starting. These are some simple steps that can be followed for deleting the history of browser on a desktop or on a mobile phone thus making it simple and convenient for the users. How to Lock Your Personal Computer on Single Mouse Click?